Every year I wander through baby stores, attend baby shows, I search the internet, I read and watch countless reviews to bring you what I believe is the best pram for the year. There are so many different factors to consider when buying a pram; pram weight, the weight capacity, is it suitable for newborns, the size of the wheels, the size of the basket, the fold and where or how are you going to be using your pram! 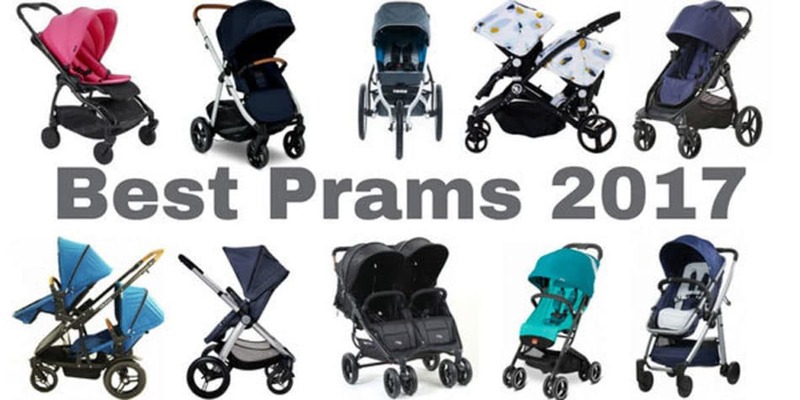 So I try to make it simple and select a range of prams to make your search for the best pram easier. Though there is no one, individual pram, that is the best – but I hope you’ll find the best pram for you. I spotted this sweet little pram a couple of months ago at Baby Bunting and was incredibly frustrated that I couldn’t find any information about it online. Anywhere! It was as though it did not exist. What I didn’t realise at the time was it actually hadn’t been released yet – thank goodness for that, I thought it was a mirage. The feature the first caught my eye is the seat converts to a bassinet; which is a feature I always love. Though the seat itself is a little small, and the weight limit is only 17kgs, so it’s going to be more suitable to a petite toddler. 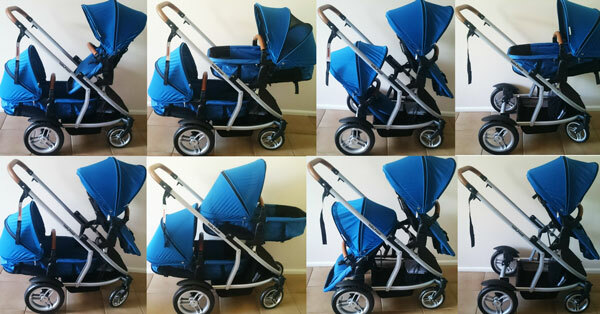 It has a huge expandable hood, folds easily with the seat attached and has a good sized basket for a small pram. The basket is also quite open and accessible for a large nappy bag. 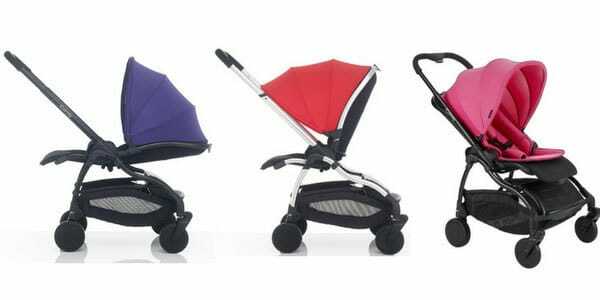 Firstly I think this is just an adorable little pram – it comes in a range of bright colours which makes it super fun. It is a compact and lightweight pram so it’s great for travel and small cars, though with it’s tiny wheels it’s really built for smooth surfaces like shopping centres and sealed footpaths. Despite it’s size it has a whopping weight capacity of 25kgs. The seat reclines fully flat so is suitable for newborns. The fold is quite compact and can be folded with the seat facing attached and facing in either directions. Despite it’s size the basket is very large. I’ve already listed the GB Qbit on my recent Top 5 Travel Prams and the reason it’s a fantastic travel pram is it folds down so compact that it will fit in the overhead storage of most aeroplanes. The fold is also remarkably quick and easy for folding on the go. The pram reclines fully flat for newborns and it has a very generous sized hood. The wheels and basket are both a bit on the small side, and it only has a weight capacity of 17kgs. Also the seat is fixed into position so it cannot be parent facing. 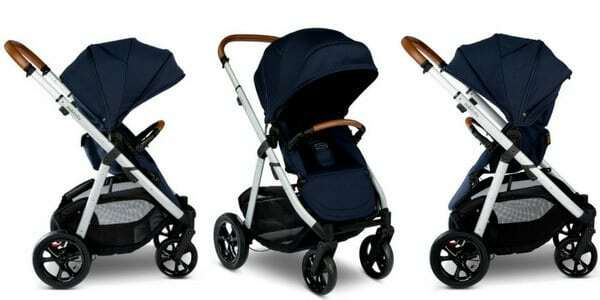 The Baby Jogger Premier has all the features you’d expect from a Baby Jogger pram; it has big wheels, broad hood, huge basket, high weight limit and of course an incredibly easy fold. 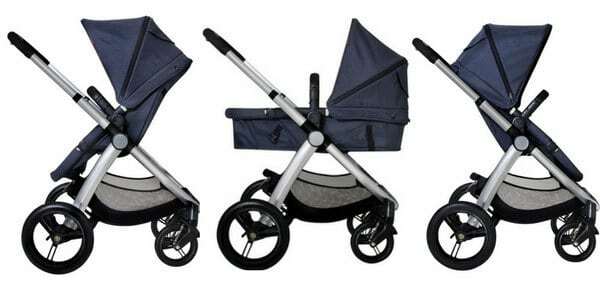 It can be folded with the seat facing in either direction and is quite compact for a full sized luxury pram. The only consideration is the seat doesn’t lay flat so you will need to purchase a bassinet separately for a newborn. Suitable from birth – Yes, with bassinet purchased separately. Redsbaby is an Australian owned brand. While you won’t find these prams in store they do offer demonstrations of their entire pram range regularly in capital cities across Australia. So you can have the opportunity to check out the pram before you buy it. The Metro is a great all-round pram, with good sized wheels, generous hood, with a very large and easily accessible basket. If you’re buying for a newborn you will need to purchase the bassinet bundle for an extra $100. The Mountain Buggy Cosmopolitan is not at all what comes to mind when I think of most of the Mountain Buggy range. This is a luxury city pram, rather than their usual rugged, all-terrain prams. Though it does have good sized wheels and will handle a bit of moderate off-roading. It has a huge basket for shopping, the seat is a great height for sitting up at a cafe, and I love that the seat converts into a bassinet. 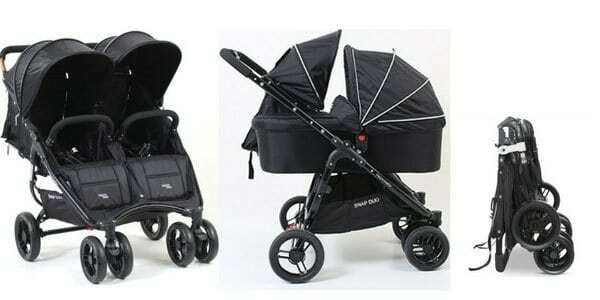 I also recently reviewed the babybood Doppio, which does have a lot of similarities to the babybee prams Comet Duo. They are both double prams that can be used with just one seat. 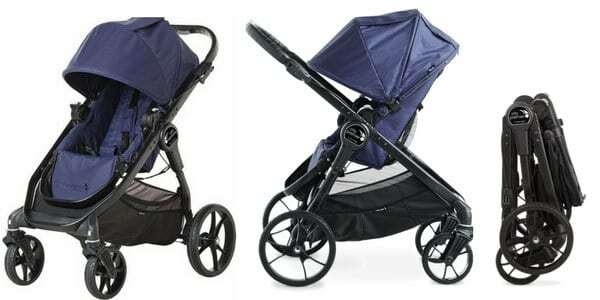 Both also have two reversible seats and offers the same versatility of a full travel system. However both the seats on the babyhood Doppio convert easily into bassinets – which is AMAZING. So it’s a perfect pram for newborn twins right through to toddlerhood. Also the basket has a separate front pocket to tuck items away from the feet of the child on the back, which is easily accessible from the front. 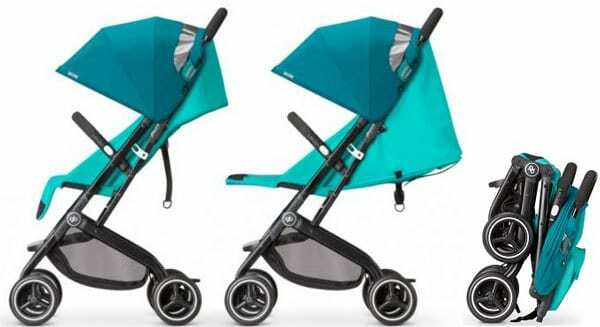 The Valco Baby Snap Duo is the cheapest, and the lightest, of the double prams on this list. The seats are not reversible unless you purchase a bassinet separately – though the seats do fully recline to be suitable for newborns already. Folding the Valco Baby Snap Duo is very simple and it comes with a handy shoulder strap, so it’s the best pram for travelling with twins or two small children. 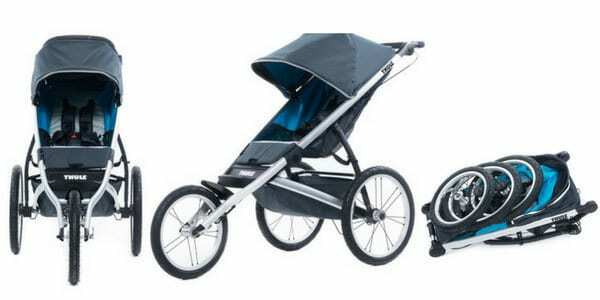 The Thule Glide is the best pram for serious running. The wheels are enormous to glide effortless over all terrain. And their is a “bike” brake on the handle to control the speed of the pram, especially important for downhill. I did not know how important this feature is until I attempted to jog with a pram downhill with no handbrake and ended up skidding down the hill out of control. The next big feature of this pram is it’s weight capacity of 34kgs. That is just incredible. I’ve never heard of a pram coming even close to that kind of weight capacity. So this is also a great pram for parents who may need to use a pram for several years. Bravo! Love your pram round-ups. Will be sharing this afternoon ?? Ahh thanks, we are on the hunt for a pram..
Hahaha! I’m just about to sit and make a decision with Dale ??? Oh this is SO helpful! 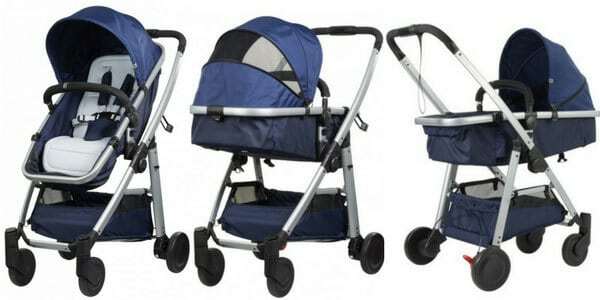 The pram I have is not on the list, I have a bugaboo donkey and it’s great, but these prams all look great! Bugaboo Donkey made my top double prams list a couple of years ago. It really is a great pram. 😉 ? Wow why don’t I say the word great a few more times ?? Wow! What a nice and comprehensive list with all the details for someone on the search for a good pram! What a great blog I wish this was around when I was picking a pram! Fab round up. The pram is such a hard decision for new parents! Michelle Beard thought of you when I saw this. Hope the pregnancy is going well ? You are the pram queen! I returned my iCandy Raspberry after six months. Faulty seat recline and faulty brake. THank you for doing this ? John Selkrig Natalie Hutchings ? I used to travel a lot on public transport when my babies were little and I’ve used all sorts of prams from super light umbrella strollers to big bulky all terrain prams on buses and trains (not trams though) and I found the best prams were mid-sized prams with big baskets so you can load everything you need into the pram without being tempted to hang it on the back – especially on a bus when it’s a little unstable. And it helps to have reasonably large wheels so you have a good “curb pop” for getting up onto a bus or over the gap to a train. Or actually the ICandy Raspberry might be a perfect compromise as well between being light and compact, with plenty of storage.